Showcasing the strength of the growing orthopedics sector, Wright Medical Group N.V. has announced the successful completion of the merger of Wright Medical Group, Inc. and Tornier N.V. to create a new power in Extremities-Biologics. Continuing the trend of medical group consolidation within orthopedics, the new company will do business under the name "Wright Medical Group N.V." and offer biologic solutions which alleviate pain and restores lifestyles. "The culmination of this merger marks a significant milestone for our company, creating the premier, high-growth Extremities-Biologics company uniquely positioned with leading technologies and specialized sales forces in three of the fastest growing areas of orthopedics – Upper Extremities, Lower Extremities and Biologics," said Robert Palmisano, president and CEO of Wright in a press release. "By bringing together the extensive and innovative capabilities of both Wright and Tornier, we can extend our leadership position and further accelerate our growth opportunities and path to profitability, all of which we believe will generate long-term value for our shareholders." Combining Wright's expertise as a globally-recognized provider of surgical solutions for foot and ankle procedures with Tornier's authority as a designer, manufacturer and marketer of devices for upper extremities, joint replacement and soft tissue repair, this merger is part of a growing trend of industry consolidation. As consolidation creates new leaders in orthopedics with more diverse product portfolios, medical groups are able to combine resources and specialties to pioneer new, state-of-art technologies poised to see widespread adoption in the market. An example of a biologic product bringing innovation to foot and angle fusion market is the Augment® Bone Graft, recently granted FDA pre-approval. The Augment Graft is an osteobiologic product composed of recombinant human Platelet-Derived Growth Factor (rhPDGF) and Beta-tricalcium phosphate (Beta-TCP) to promote fusion. 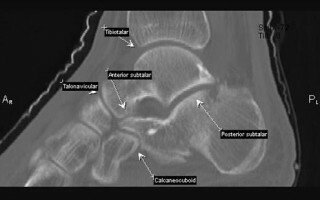 Other foot and ankle fusion products under investigation include partially demineralized allografts combined with stem cells, bone grafts infused with concentrated bone marrow aspirate, and allogeneic bone matrix. Recent reports in the literature show promise for these emerging technologies. The recent Wright-Tornier merger is representative of the trend of ongoing consolidation in the orthopedic industry and development of a more competitive extremities and biologics marketplace. Accordingly, Medical Metrics has seen strong growth in clinical trials of new technologies for joint replacement, resurfacing, arthrodesis, and fracture repair. The recent rash of mergers, including even the leading players in the market, has also promoted new development of state-of-the art technologies designed to meet specific patient needs—which in turn is projected to stimulate sales of devices and services. As providers fight for market share amidst the highly competitive industry, consolidations, joint ventures and agreements between companies will continue to support growth and innovation within orthopedics.